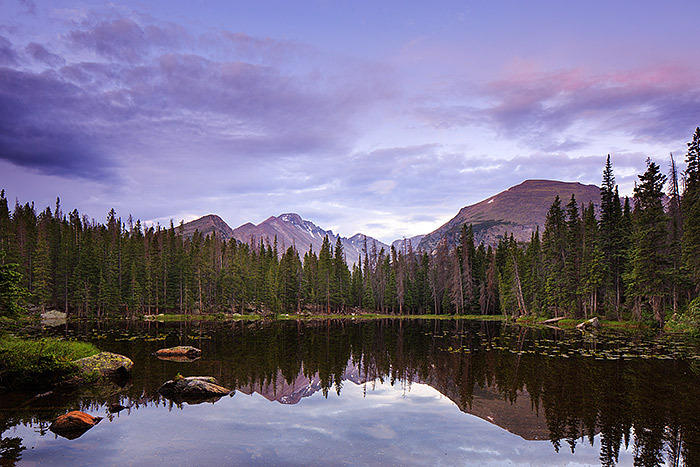 A total stillness envelopes Nymph Lake and Longs Peak on a tranquil morning in Rocky Mountain National Park. There is no wind over Nymph Lake this morning as the clouds over Longs Peak catch the subtle light from a subdued yet beautiful sunrise over Colorado. Photo © copyright by Thomas Mangan.